Firewatch is a very good game, and a gorgeous one, too. 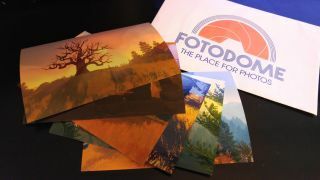 And as TechnoBuffalo recently discovered, it contains a very cool (and, until now, hidden) feature that enables you to order hard copies of the photos you take with your in-game disposable camera from a fake photo development company called Fotodome. I've seen no mention of the photo finishing feature on the Steam page, but TechnoBuffalo posted an image of the snapshots it received—complete with Fotodome envelope—and Cabel Sasser, the co-founder of publisher Panic Inc., confirmed the option with Eurogamer. It costs $15 to have your pictures printed, but that price holds for anywhere in the world, so in the UK, for instance, it'll run about £10—but they'll also take a lot longer to arrive. For now, the option is only included in the PC version of the game, but Sasser said the publisher is “actively investigating” the possibility of bringing it to the PS4 edition. I haven't played Firewatch yet, but I'm very much looking forward to it. And I'll definitely be taking advantage of this offer, too. Have a look at some of the screens from our review, and you'll see why.